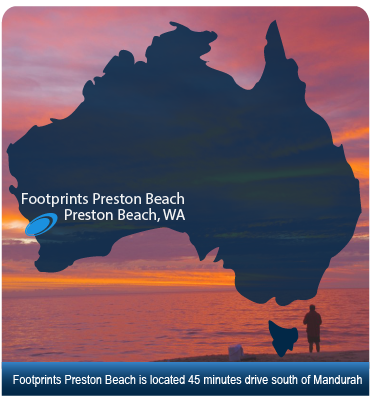 Footprints - Preston Beach | Footprints at Preston Beach marks the return of the simple yet stylish beach accommodation. Footprints at Preston Beach marks the return of the simple yet stylish beach accommodation. Our Resort consists of architecturally designed beach shacks and townhouses that are all fully furnished and self contained. 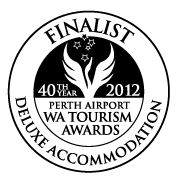 Located 45 minutes drive south of Mandurah and only 90 minutes south of Perth. Footprints Preston Beach Resort is only a short stroll to the white sands and clear blue waters of Preston Beach. 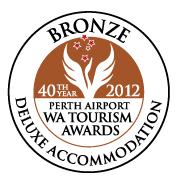 For the Nature lovers, just to the east of Footprints Preston Beach Resort is Lake Preston and Yalgorup National Park. With two marked walk trails you’ll have plenty of opportunities to come face-to-face with the park’s abundant flora and fauna. The abundance of Western Grey Kangaroos will delight nature lovers. All this and more is what makes Footprints by far one of the best places to stay in Preston Beach. Our friendly resident kangaroos provide a spectacular backdrop to your accommodation.